1. WHAT is the Human Rights Council? The Human Rights Council (HRC) is the main inter-governmental body within the United Nations that is responsible for the promotion and protection of human rights worldwide. Under the UN Charter (which is like the Constitution of the UN), promoting and encouraging respect for human rights for all without discrimination is a major purpose of the UN (Article 1.3). The HRC and all other human rights institutions and procedures within the UN have been established in order to achieve that purpose effectively. The HRC consists of 47 members, all of whom are Member States of the UN elected for a three year term by the UN General Assembly (UNGA). Sri Lanka too is a former member of the HRC. 2. WHAT are the powers of the Human Rights Council? The Human Rights Council (HRC) succeeded the UN Commission on Human Rights which ceased to exist on 19 June, 2006. The HRC was established by UN General Assembly Resolution 60/251 of 3 April, 2006. Under that Resolution, the HRC is responsible for promoting respect for human rights the world over. Similarly, it is obligated to address human rights violations and make recommendations in that regard. It is also responsible for effectively coordinating human rights matters within the UN. The HRC is based in Geneva, Switzerland and meets at least thrice each year. 3. UNDER what authority did the HRC adopt resolutions (2012, 2013, and 2014) on Sri Lanka? As already pointed out in 2 above, the UN General Assembly (UNGA) has placed on the HRC the responsibility of addressing human rights violations around the world and for making relevant recommendations. It is pursuant to those powers and its procedural rules that the HRC adopts resolutions on country situations. Resolutions adopted on Sri Lanka are but a few examples of such country resolutions. Resolutions on country situations can be adopted under various agenda items of HRC sessions. The resolutions on Sri Lanka were adopted under agenda item 2. That agenda item focuses on human rights issues and situations raised by the Annual Report of the UN High Commissioner for Human Rights, reports of the High Commissioner’s office, and of the UN Secretary General. As the principal UN official in charge of human rights, the High Commissioner on Human Rights has to present an annual report on the world situation on human rights. 4. WHO can propose and vote for a resolution on a specific country in the HRC? The procedure to be followed in the HRC is set out in a separate resolution, popularly referred to as the “Institution-Building Package”. States that wish to sponsor a resolution related to a specific country are urged to get the support of at least 15 members of the HRC. Sponsoring States need not be members of the HRC. However, voting on a resolution can be done only by members. The 2014 HRC Resolution on Sri Lanka (A/HRC/RES/25/1) was sponsored by 38 States. The resolution was adopted on 26 March with 23 HRC members voting for it. It was opposed by 12 members while 12 abstained. The idea of absolute State Sovereignty that existed until the turn of the Twentieth Century is no longer valid. In the UN era, international law deals with very many subjects that were previously dealt with entirely under national law. For example, family law of a country was entirely based on law that had evolved at the national level. Now, international human rights standards on rights of the child and gender equality require that a country’s systems of family law should change to be in line with international standards. When countries legally accept international law standards on any subject (e.g. protection of human rights, environmental protection, trade), they are obligated under international law to implement those standards at the national level. So, State Sovereignty is limited to the extent that a country has undertaken binding obligations under international law. Sri Lanka has undertaken many binding obligations under international human rights law by ratifying (legally accepting) international human rights treaties such as the International Covenant on Civil and Political Rights, the International Covenant on Economic, Social and Cultural Rights, the Rights of the Child Convention, Convention on the Elimination of All Forms of Racism, Convention on the Elimination of All Forms of Discrimination Against Women, and the International Convention Against Torture. Similarly, Sri Lanka has ratified many treaties on the laws of war (i.e. International Humanitarian Law). It then follows that the UN has the right under international law to supervise whether Sri Lanka is complying with its international legal obligations. The HRC Resolutions on Sri Lanka were adopted on the basis of that principle. Sri Lanka has already accepted the right of the UN to scrutinize Sri Lanka’s compliance with its international human rights obligations. Sri Lanka has a long history of submitting periodic reports to UN Treaty Bodies that supervise Sri Lanka’s compliance with international human rights treaties it has ratified. Similarly, Sri Lanka has readily cooperated with the HRC’s Universal Periodic Review process and submitted necessary reports and responses. Sri Lanka also has engaged in legal reform (e.g. amendment to the Citizenship Act to enable a child to obtain citizenship through the mother and the adoption of the Domestic Violence Act) or has established institutions (e.g. the Human Rights Commission of Sri Lanka) in response to recommendations made by UN human rights bodies or as a result of undertakings given by Sri Lanka to such bodies. It must be noted that international human rights law obligations mainly make the State accountable for violations. However, obligations under international humanitarian law (laws of war) make both State armed forces and also non-State groups such as the LTTE accountable for violations. 6. WHAT are the issues dealt with by the HRC Resolution on Sri Lanka (2014)? ​The 2014 resolution follows two previous resolutions on Sri Lanka adopted by the HRC in 2012 (A/HRC/RES/19/2) and 2013 (A/HRC/RES/22/1). The first resolution, it should be noted, was adopted two and a half years after the ending of the civil war in Sri Lanka. All three resolutions focus on promoting reconciliation, accountability and human rights in Sri Lanka while recognizing Sri Lanka’s sovereignty, independence, unity and territorial integrity. As the three resolutions are inter-connected, it is difficult to fully understand the 2014 resolution without going through the content of the 2012 and 2013 resolutions. Each of the three resolutions points out that combating terrorism has to be carried out by States within the framework of their international law obligations – in particular, obligations under international human rights law, international refugee law and international humanitarian law. The resolutions call on Sri Lanka to take action, in accordance with the country’s international law obligations, to effectively bring about reconciliation within the country and accountability for violations of international human rights law and humanitarian law obligations. a) The 2012 resolution is extremely brief. It welcomes the positive recommendations made by the Lessons Learnt and Reconciliation Commission (LLRC) appointed by the Government of Sri Lanka (GOSL). It calls on the GOSL to implement those recommendations and additional steps that need to be taken under its legal obligations to ensure justice, equity, reconciliation and accountability for all Sri Lankans. It points out, however, that the LLRC recommendations, while being very constructive on national reconciliation, nevertheless do not adequately deal with the alleged violations of international law in Sri Lanka. The Government of Sri Lanka is called on to prepare a comprehensive action plan detailing the steps that it will take to implement LLRC recommendations and to initiate investigations into alleged violations of international law. The High Commissioner for Human Rights and UN experts are called on to provide technical support for those purposes to the GOSL with its agreement. The Office of the High Commissioner of Human Rights (OHCHR) is called on to report on the progress made at the HRC session to be held in March 2013.
b) The 2013 resolution was adopted by the HRC after examining the report presented to it by the Office of the High Commissioner as required by the 2012 resolution. The report of the OHCHR which was presented in February, 2013 was also based on a visit to Sri Lanka by a technical mission consisting of OHCHR officials. The team visited Sri Lanka in September, 2012 with the permission of the Government of Sri Lanka. The visit was made further to the 2012 resolution which called for the OHCHR to provide technical support to the GOSL in fulfilling the recommendations made by the HRC. The report concludes that, although Lessons Learnt and Reconciliation Commission’s Recommendations offer the promise of achieving meaningful reconciliation and accountability in Sri Lanka, the Government has taken steps to implement only some of those recommendations. It further points out that the efforts made by GOSL to inquire into alleged human rights violations lack independence and impartiality required to inspire confidence. It then identifies areas on which the Office of the High Commissioner for Human Rights can provide technical cooperation to the GOSL, and goes on to make a series of recommendations to improve reconciliation and accountability in Sri Lanka. One of the recommendations is to establish a truth-seeking mechanism that will facilitate reconciliation. Finally, it calls for an independent and credible international investigation into allegations of violations of international human rights law and humanitarian law, while it could also monitor steps taken in Sri Lanka to inquire into those allegations. The resolution of 2013 recognizes the positive achievements of the GOSL in rebuilding infrastructure, demining and resettling of internally displaced persons. However, it points out that the Plan of Action for the implementation of the LLRC recommendations leaves out many important recommendations such as those that call for the credible investigation of involuntary disappearances and extra-judicial killings, improvement of the Rule of Law, reaching a political settlement on devolution of power, and strengthening previously independent civil institutions. It also notes with concern continuing human rights violations in Sri Lanka (after the war ended) including intimidation of journalists, extra-judicial killings and enforced disappearances, threats to independence of the judiciary and the rule of law, and discrimination on the basis of religion. Even though the resolution notes that the High Commissioner has called for an international investigation, it calls on the GOSL to carry out a national investigation that is credible and independent. The focus of the resolution is on steps that can be taken at the national level — the full implementation of LLRC recommendations and the establishment of a domestic accountability mechanism. In achieving those goals, the GOSL is called on to obtain technical assistance from the OHCHR and UN independent experts. The OHCHR is called on to report on progress made to the HRC session in March, 2014.
c) The 2014 resolution was adopted by the HRC on 27 March, 2014 taking in to consideration the report of the High Commissioner, who visited Sri Lanka in August, 2013. Like the previous resolution, the 2014 resolution too notes certain positive developments in Sri Lanka, but expresses concern regarding the continued lack of progress in implementing the constructive recommendations of the LLRC that would facilitate reconciliation and accountability. Again, the resolution expresses serious concern about continued violations of human rights in Sri Lanka including extra-judicial killings, enforced disappearances, intimidation of journalists, lawyers and human rights activists, and also threats to independence of the judiciary and the rule of law. In particular, it expressed alarm about attacks on places of worship of religious minorities in Sri Lanka. In strong terms it reminds Sri Lanka of the legal obligation of States under relevant international law to prosecute those responsible for serious violations of human rights and humanitarian law which amount to international crimes, and recalls the conclusion of the High Commissioner that national processes in Sri Lanka have thus far failed to deliver justice. The language of this resolution is more specific and firm. Once again, through this resolution, the HRC calls on Sri Lanka to establish a credible and independent national investigation process in regard to allegations of human rights and humanitarian law violations, and to hold those responsible accountable for their crimes. The resolution goes further and requires the GOSL to stop continuing human rights violations and comply with the recommendations of the High Commissioner’s report. The most distinctive feature of the 2014 resolution is that, unlike in previous resolutions, it permits the High Commissioner to undertake a comprehensive investigation into alleged serious violations and abuses of human rights and related crimes by both parties in Sri Lanka during the period covered by the LLRC. The investigation is called for in order to ensure that those who have violated international law are held accountable. Sri Lanka is requested to cooperate with the OHCHR in the implementation of the resolution. Under the terms of the 2014 resolution, the High Commissioner has to provide an oral report at the twenty seventh session of the HRC (September, 2014) and thereafter a comprehensive report and a discussion on the implementation of the resolution at the twenty eighth session (March, 2015). In other words, the HRC review of the situation in Sri Lanka based on Sri Lanka’s international obligations will continue. A review of the three HRC resolutions on Sri Lanka makes it clear that what the Government of Sri Lanka was mainly required to do was to implement the recommendations of Sri Lanka’s own LLRC, including taking credible and independent action locally to investigate and to punish those who are found responsible for serious human rights violations. 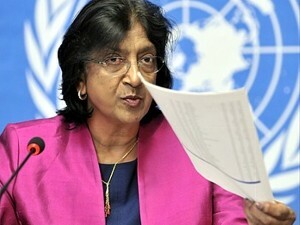 Similarly, where the allegations of serious violations of international human rights and humanitarian law are concerned, the HRC resolutions call to Sri Lanka was also to hold credible local investigations, even though the High Commissioner had already concluded that an international investigation was necessary. Eventually, it was only in the third resolution (2014) that the HRC decided to request the Office of the High Commissioner for Human Rights to itself conduct an international investigation. It must be noted that the international investigation is not only in regard to allegations against the GOSL, but on allegations against both parties to Sri Lanka’s conflict. It is also noteworthy that unlike the 2012 resolution, which only focused on past violations, both the 2013 and 2014 resolutions draw attention to a growing list of human rights violations in the country, including attacks on journalists, religious minorities, independence of the judiciary and the rule of law. 7. WHAT is the government’s Response to the 2014 HRC Resolution? The GOSL has rejected the three HRC resolutions and has refused to cooperate with the international investigation to be conducted by the OHCHR. The Permanent Representative of Sri Lanka to the UN in Geneva reiterated the position of the GOSL at the twenty sixth session of the HRC held in June, 2014 that the mandate given to the OHCHR to conduct an international investigation is against the sovereignty and independence of Sri Lanka. The position of the GOSL is that the inquiries carried out by the Sri Lanka Army into alleged violations and the work of the Disappearances Commission are adequate local accountability measures and that it (GOSL) is also making satisfactory progress on post-war reconciliation. 8. WHAT Steps has the UN Taken to Commence the International Investigation on Sri Lanka? The High Commissioner recently announced the appointment of three international experts to advise and guide the OHCHR investigation team. They are Martti Ahtisaari, former President of Finland and Nobel Peace Prize winner; Asma Jahangir, a prominent human rights lawyer from Pakistan with extensive UN human rights work experience; and Sylvia Cartwright, former Governor-General of New Zealand and High Court judge. Reportedly the HRC has informed the GOSL that Sandra Beidas, an experienced UN human rights official will lead the team consisting of twelve members. The team will work under the guidance of the three experts and report to the HRC on progress made and of its findings and recommendations. Whether or not Sri Lanka cooperates with the international investigation, the OHCHR will proceed with its work as mandated and present its report to the HRC. The HRC will discuss the report (Sri Lanka will have the right to respond) and decide on whether it will be adopted or not. If the report is adopted and there are findings that Sri Lanka is responsible for violations under its international human rights law obligations, Sri Lanka will be legally obligated to take corrective measures. Non-compliance will result in international law violations that could pave the way for international sanctions. 9. WHAT is the Role of Citizens of Sri Lanka in relation to HRC resolutions? As citizens of Sri Lanka, in whom sovereignty lies (Article 3 of the 1978 Constitution), we should be the key players in regard to all public matters affecting us. If we are mere observers of events and do not voice our opinions and demands, we have failed by both our rights and duties as citizens, and indeed our society. What we need to do is to constantly inform ourselves of current happenings and ask questions such as how? and why? a given situation has arisen. We have to then form opinions and articulate them publicly through various means—e.g. through various civic organizations, by writing to newspapers and/or political representatives. i) What caused the HRC to focus on the human rights situation in Sri Lanka? ii) What is the legal basis for HRC resolutions? iii) How best could Sri Lanka have avoided the prolongation of the HRC process on Sri Lanka? iv) What was the mandate of the LLRC and what are its recommendations? v) What should have been done by the GOSL to effectively implement those recommendations? vi) How could a credible and independent investigative process to investigation serious violations of international human rights and humanitarian law have been established in Sri Lanka? Who could we have thought of as nominees to serve on such a body? vii) Is it too late now to call for the establishment of such a body? viii) What would be the legal and political consequences of Sri Lanka not cooperating with the international investigation? ix) Would things get worse for Sri Lanka internationally in the face of emerging issues such as attacks against religious minorities? Would Sri Lanka be believed when it says it is dealing with reconciliation successfully, when incidents like that take place in the country? x) Would it not be better for Sri Lanka to put things right within the country—address past and present human rights issues in a manner that builds confidence both locally and internationally? xi) Aren’t we the ones who stand to benefit, with or without HRC resolutions, if those issues are effectively dealt with by the GOSL under the rule of law? Recently, the President extended the mandate of the existing Disappearances Commission to look into a far wider range of issues, and has appointed three international experts to advise it. The background is as follows. In August 2013 the President set up a three-member Commission of Inquiry, headed by Mr Maxwell P. Paranagama, to inquire into complaints regarding missing persons. It has held public hearings in the north and east and has received over 19,000 complaints, of which the Commission has reportedly been able so far to interview less than five hundred. The mandate of this Commission has now, by gazette notification of 15 July 2014, been expanded by the President to look into allegations of war crimes and violations of international law in the last stages of the conflict. This is a vast and complex area, and though the allegations certainly need investigation, adding it to the task of the already heavily burdened Missing Persons Commission appears to be a hasty and ill-thought out step. Moreover, by diluting and expanding the original function of this Commission, it is likely to impede even further the investigation into missing persons, thereby adding to the anguish of the thousands of long-suffering persons who desperately need – and have a right to know - the fate of their family members. It would have been far better if a separate body was appointed to take on the task of inquiring into allegations of war crimes and violations of international law.